For those who didn’t know, I’m in Japan doing some research on my own on Japanese watercraft. 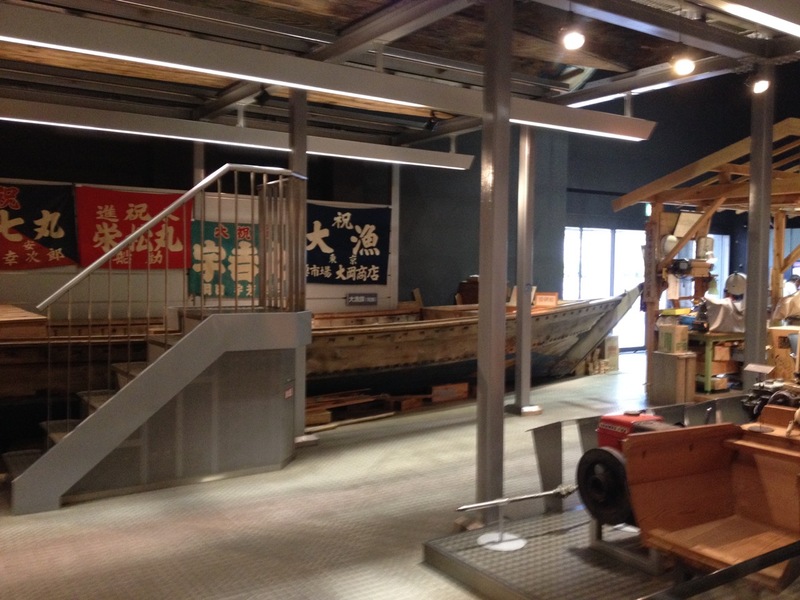 Yesterday, I was in Tokyo and visited a museum where there was once a thriving fishing community. It’s all landfill and upscale apartments now, but they have a city museum that is a recreation of the old fishing community. They also keep some of the old boats there. So, what do I find when I walk downstairs amongst the old boats? 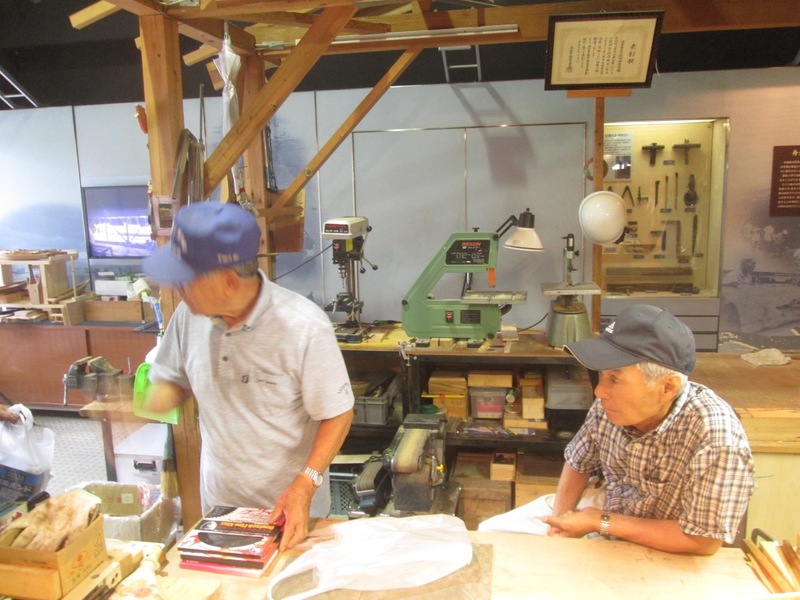 A workshop set up in the middle, with three old guys at benches surrounded by small band saw, drill press, sanders, racks of clamps, sheets and blocks of wood, etc., and they’re making model boats! 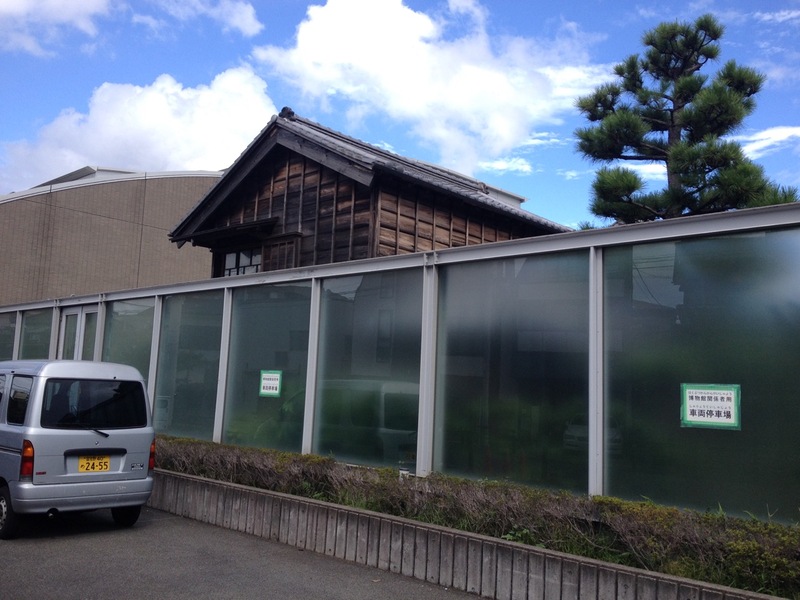 An Urayasu bekabune similar to the one I’m trying to build. Big language barrier here, more than is usual at a museum, but they’re all museum volunteers, and in the middle is the kind of gruff guy they pointed out as the “boss”. 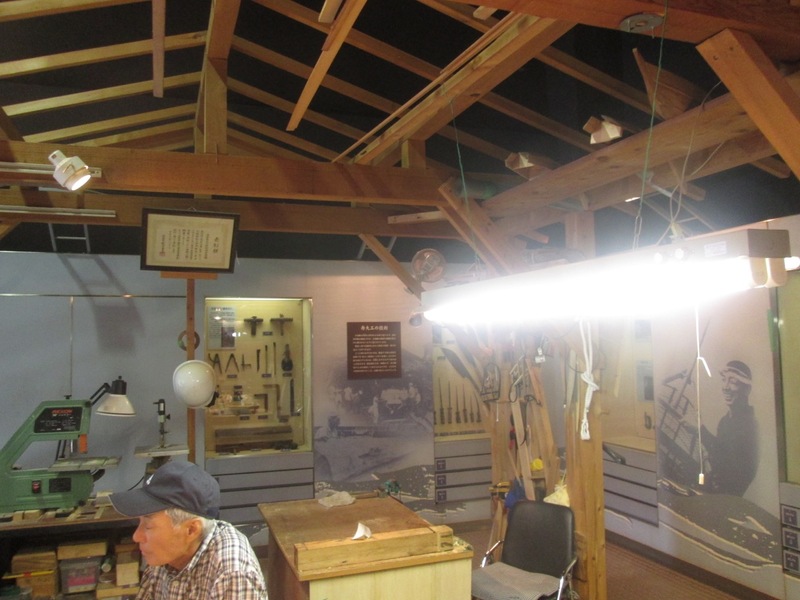 It was clear to me that this was kind of like the equivalent of the Hyde Street Pier Model Shipwrights. Now, these guys aren’t part of the Japanese ship model society called The Rope, that I’ve mentioned before. The boss is a former boat builder, and the others more or less appear to volunteer as his assistants. He actually has a full-sized boat building project going on there. I wasn’t able to discern why they were building these models. 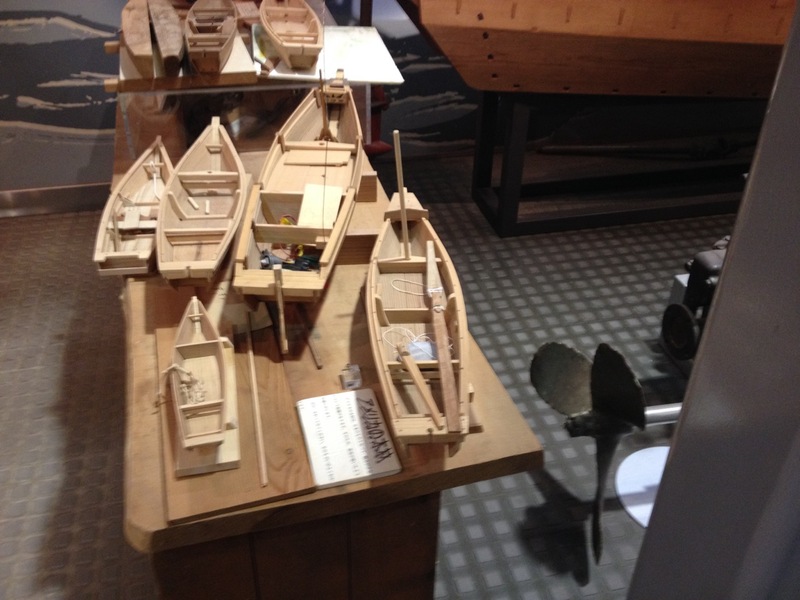 They were actually kind of crude by ship modeller standards, but they were neat. They might be the kind of model you’d mass produce for museum shops, though there was no sign of anything like that. In one case, a larger model was clearly being set up for radio control. I finally ran across someone who actually worked there and he spoke some english, so we talked about the specific boats that the region was known for. The guy was kind of like their own Terry Dorman, our hard working volunteer coordinator with the Park Service, and he was dropping off some band saw blades that the builders needed. 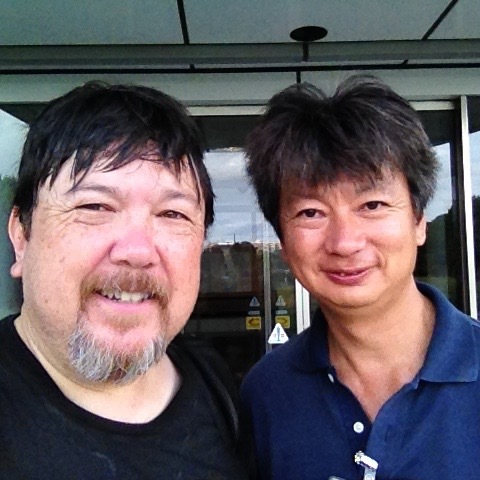 I didn’t catch his job title, and I haven’t had a chance to translate the Japanese business card he gave me, but his name is Mr. Shimamura. Since I’m now modeling a bekabune, which is the boat type built and used in Urayasu, he showed me some details about them and gave me their museum pamphlets. Unexpectedly, as we were heading towards the lobby, he left me for a minute and came back with a paper bag and motioned me to come outside. In front of the museum, he took one of the bekabune models that the volunteers built and handed it to me, saying “gift”. I was really taken aback, but grateful and thanked him very much. I had no idea how I’d take the 14″ long boat model back home with me, but I was expected I’d figure something out. 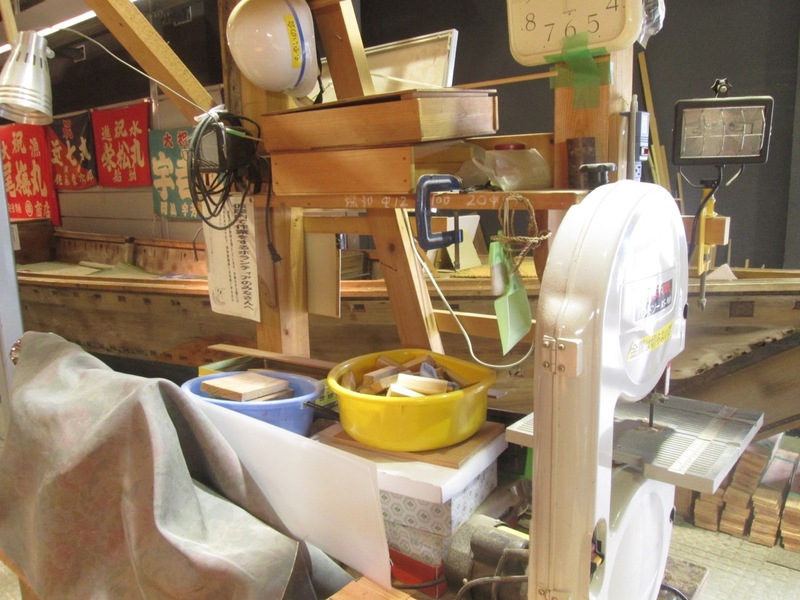 As it turns out, I think this will be a great prop for my demo on Japanese boat modeling at the Nautical Research Guild conference next month. And, as it turns out, if I’m really careful, I can pack it quite comfortably in my luggage. 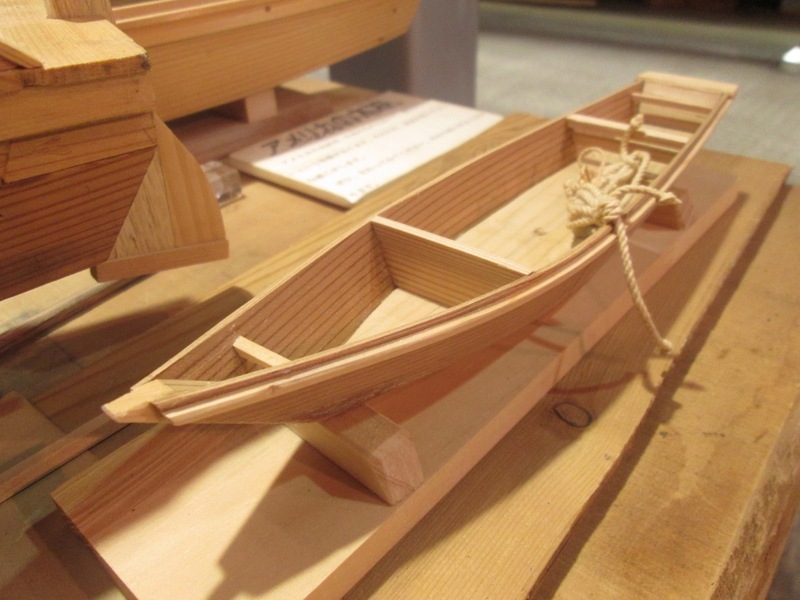 This entry was posted in Club News, Hyde Street Pier, Maritime Museums and Travel, Ship Modeling and tagged Bekabune, Traditional Japanese Boats, Urayasu by catopower. Bookmark the permalink.